Carlsberg Singapore’s marketing director Jolene Yeo is moving on from her role to pursue other opportunities in a different industry. Confirming the move to Marketing, a Carlsberg spokesperson said that the announcement of her successor will be made by end February 2017. This is shortly after Juliet Yap, marketing director of Carlsberg Malaysia stepped down from her role after a tenure of almost 10 years. Her current replacement in the Malaysia is Charles Wong, who was former general manager at Red Bull Malaysia. During her time as marketing director, a role she took up in 2015, Yeo reported to Jimmy Toh, general manager of Carlsberg Singapore. She took over the role from former marketing lead Bernard Yeo. She first joined Carlsberg in June 2011 as commercial development manager and was promoted a year later to regional marketing manager in the Asia commercial team. She was responsible for the launch of Somersby in Singapore and across the Asia region, leading the brand re-positioning of Kronenbourg 1664 across Asia, development and launch of Carlsberg Smooth Draught as well as activations such as Probably the Best Job in the World. Prior to her time in Carsberg, Yeo worked in marketing roles in companies such as Nestle Singapore, P&G and Sony Electronics. According to her LinkedIn, Yeo was assistant brand manager/brand manager for marketing, confectionery, in Nestle Singapore. 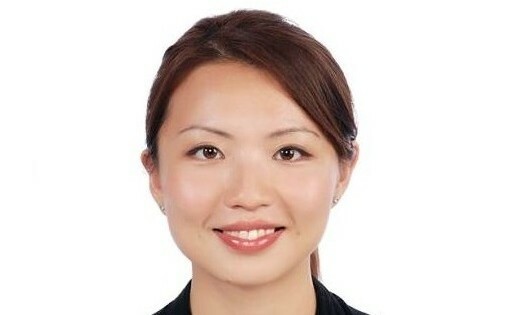 In addition, she also held the role of assistant brand manager, AAI – SK-II global operations at P&G. Last year, Carlsberg embarked on a slew of marketing initiatives in the region, the most recent being its “Probably The Best Job In The World” campaign, which made a return with higher stakes. For just four hours of work consisting of drinking beer, the successful “job applicant” got a “salary” of SG$20,000, double that of 2015’s campaign. Globally, the brand’s research laboratory also used ‘Jurassic Park’-style technique to rebrew what it called the “world’s very first quality lager”. This was done through the use of its original pure yeast which survived 133 years in a beer bottle located in the brewery’s old cellars. The yeast was first developed at the Carlsberg Lab. Meanwhile in Malaysia, Carlsberg got involved in the research space by calling 16,000 volunteers to be part of it’s “Probably the best research in the world” campaign in a bid to get them involved in its journey to the marketplace from brewery to beer glass. Microsoft's CEO Satya Nadella to join Starbucks' board of directors?